Imagine a refrigerator that can detect the kinds of foods you are storing in it, can keep you informed as to expiration dates, and track your habitual use of the product. Those days of finding that head of lettuce that you forgot and ended up growing slime are over! 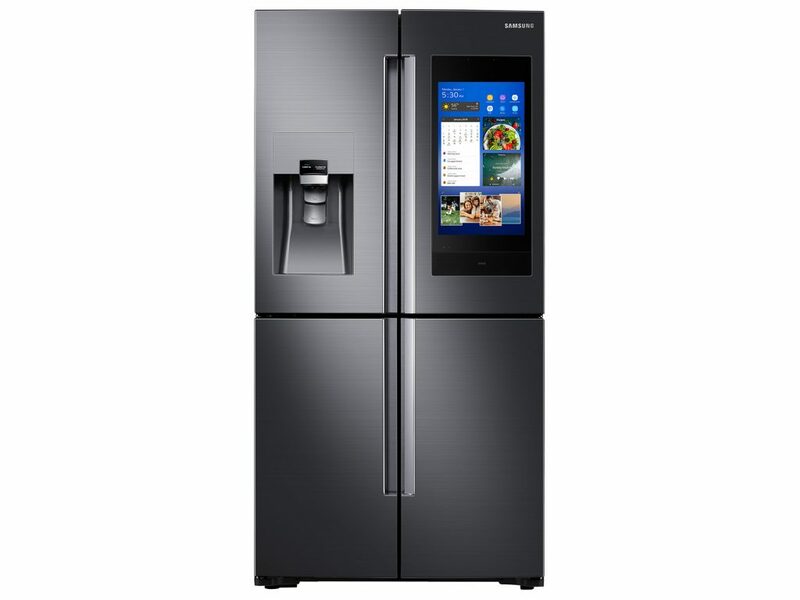 A smart refrigerator is a refrigerator that is connected to the internet and has been programmed to know what types of foods or products that are being stored in there. It does this by reading the barcodes or using RFID (radio frequency identification) scanning. Built-in speakers: Now you can listen to your favorite tunes, your favorite podcast or audiobook as you look in your refrigerator. Temperature controlled drawers or compartments: You can store your deli meats at a different temperature from your wine or soft drinks. The ability to change the refrigerator into a freezer: That’s right and it only takes 24 hours! Airtight crisper: Say goodbye to slimy lettuce and cilantro! These smart airtight crispers will extend the life of your produce. Self-filling water pitcher with cold filtered water. Built in Keurig: Coffee anyone? Now before you get too excited, not all smart refrigerator brands have all these features, so let’s see who has the best model for you! 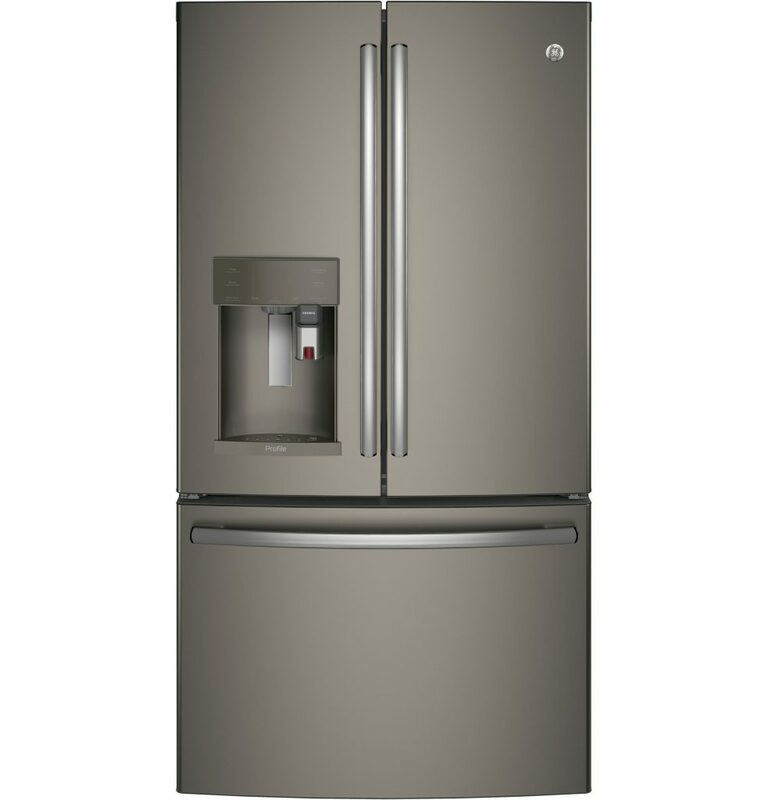 This is a spacious refrigerator that will add beauty to your kitchen with its design. There are a variety of nice features; all can be controlled with your smartphone, so you will need to download the GE Kitchen app. This model received excellent marks on many sites when researched. After tested, it was revealed that lettuce stayed crisp for an entire week. The internal temperatures stayed consistent and products remained fresh. A water filtration system is also included that removes trace pharmaceuticals and elements. Price $3000+ but prices vary; check for best offer. The ease of use and size as well as the appearance seems to be this model’s strongest points. This model has a smudge proof finish, which is a nice feature. Being able to access food without exposing the other food to the elements is great if you have young kids opening and closing the refrigerator non-stop. Adding to the exceptional appearance is that this model is made from stainless steel and will bring glamour to your kitchen. The family hub with the touch screen feature lets you know what you need to buy. Retails for $3599+, prices vary. A refrigerator that is easy to use and keeps your food fresh longer and is built to last is true luxury. These three models are all top notch, but depending on your lifestyle and taste in appliances, it’s up to the user to decide which is best for their needs.